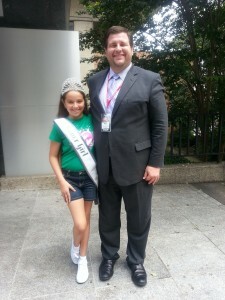 Kaitlyn Connell, Miss North Carolina Pre-Teen Cover Girl has been busy volunteering all around town! 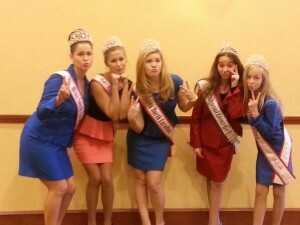 Kaitlyn Connell, National American Miss North Carolina Pre-Teen Cover Girl has been busy volunteering all around town! 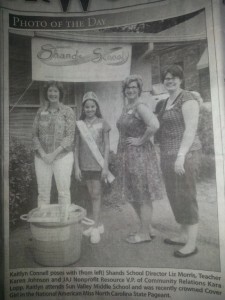 Kaitlyn Connell, Miss North Carolina Pre-Teen Cover Girl has been busy volunteering all around town! She helped at The Ambassador’s Ball, a fundraiser for the Allegro Foundation, a nonprofit that helps children with disabilities. Guests of honor for the evening were Manuel Sager, the ambassador of Switzerland to the United States, and his wife, Christine. Felix Sabates hosted the gala at his Mercedes-Benz of South Charlotte dealership. Highlights included a performance by the children of Allegro dedicated to the memory of the late Allegro supporter Victor George Sayegh and dancing to the Caliente band, Gloria and Emilio Estefan’s house band for their Bongos Cuban Cafe. (Photo by Daniel Coston – Special to the Observer) Kaitlyn and the Allegro students performed a dance at the Ambassador’s Ball, and after the performance, Kaitlyn was invited as a guest by Mercedes-Benz of South Charlotte. Along with the Allegro Foundation she volunteered with a Champion for Children with Disabilities for a total of 9 hours between the dates of August 22nd and September 24th. Her involvement with Allegro Foundation was as a Teaching Assistant for a performance at our 4th Annual Golf Invitational. 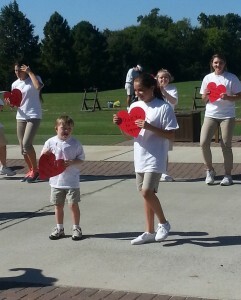 She was paired with a student living with Down syndrome and assisted him throughout the performance and rehearsals. 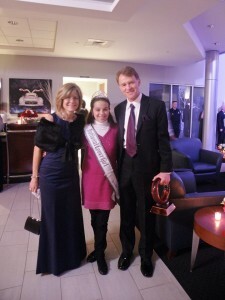 Kaitlyn also met with Charlotte’s Mayor Patrick Cannon and with Former U.S. Representative Sue Myrick. Kaitlyn also enjoyed volunteering and being National American Miss North Carolina Pre-Teen Cover Girl at Matthews Alive Parade. 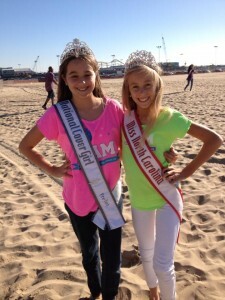 Kaitlyn was also able to join her sister queens,Branndi Alden National American Miss North Carolina Pre-Teen Queen and Megan Ebert Miss Queen at The Susan G. Komen Race for the Cure. 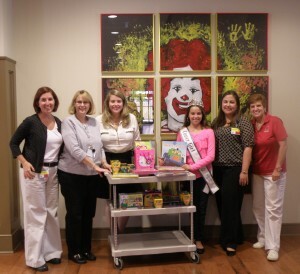 Kaitlyn stopped by the Ronald McDonald House to donate some craft supplies! She wanted to donate to the Ronald McDonald house because when she grows up she wants to be a pediatric oncologist. National American Miss North Carolina Pre-Teen Cover Girl Kaitlyn Connell visited with Anchor Blair Miller at WSOC-TV Channel 9 on August 15th. She donated school supplies that were turned in by all the National American Miss participants and these will be distributed among the children that can’t afford to buy them. She also met with April Garcia the owner of Kids-R-Kids Learning Academy. Kaitlyn donated books from all the NAM contestants. NAM North Carolina Pre-Teen Cover Girl Kaitlyn Connell volunteered with Allegro Foundation…a Champion for Children with Disabilities for a total of 9 hours between the dates of August 22nd and September 24th. Her involvement with Allegro Foundation was as a Teaching Assistant for a performance at our 4th Annual Golf Invitational. 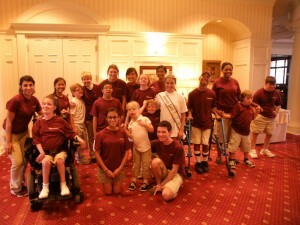 She was paired with a student living with Down syndrome and assisted him throughout the performance and rehearsals. Author Matt LevertonPosted on June 7, 2014 March 31, 2016 Categories Community Service, Cover Girl, north carolina, pictures, Press Release, RoyaltyTags around, carolina, connell, cover, girl, kaitlyn, nam, namiss, north, pageant, pageants, pre, teen, town., volunteersLeave a comment on Kaitlyn Connell, Miss North Carolina Pre-Teen Cover Girl has been busy volunteering all around town! 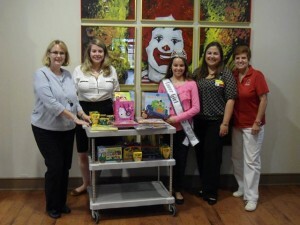 Kaitlyn Connell, Miss North Carolina Pre-Teen Cover Girl donates school supplies. 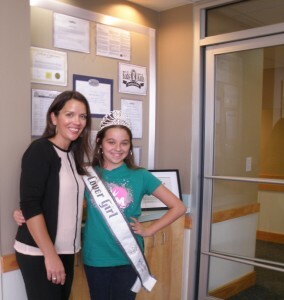 Kaitlyn Connell, National American Miss North Carolina Pre-Teen Cover Girl donates school supplies. Miss North Carolina Pre-Teen Cover Girl Kaitlyn Connell visited with Anchor Blair Miller at WSOC-TV Channel 9. She donated school supplies, books, and stuffed animals that were turned in by all the National American Miss North Carolina participants. All of these items will be donated around town to children who wouldn’t be able to get them on their own. Author Matt LevertonPosted on November 13, 2013 March 31, 2016 Categories Community Service, Cover Girl, north carolina, pictures, RoyaltyTags and, animals, carolina, connell, cover, donates, girl, kaitlyn, nam, namiss, north, pageant, pageants, pre, school, stuffed, supplies, teenLeave a comment on Kaitlyn Connell, Miss North Carolina Pre-Teen Cover Girl donates school supplies. 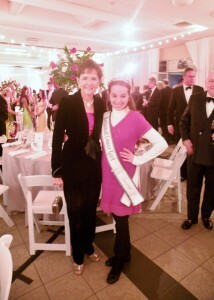 Meet Kaitlyn Connell your 2013 Miss North Carolina Pre-Teen Cover Girl. 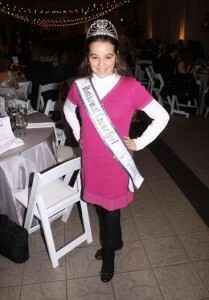 Meet Kaitlyn Connell your 2013 National American Miss North Carolina Pre-Teen Cover Girl. Author Matt LevertonPosted on November 9, 2013 April 2, 2016 Categories Background, north carolina, Pageant Stories, pictures, RoyaltyTags carolina, connell, cover, girl, kaitlyn, nam, namiss, north, pageant, pageants, pre, teenLeave a comment on Meet Kaitlyn Connell your 2013 Miss North Carolina Pre-Teen Cover Girl.